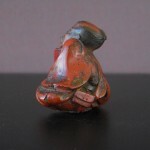 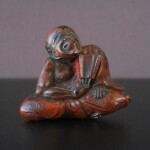 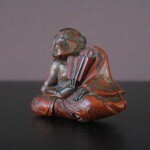 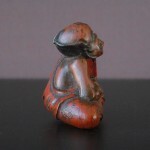 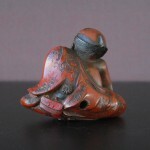 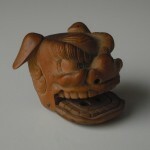 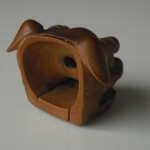 This antique japanese Netsuke of a Kamifuki is a very fine Piece – the details are great! 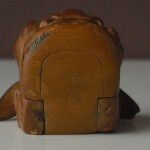 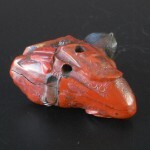 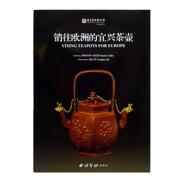 It’s in good condition: crack to bottom, traces of use – see photos. 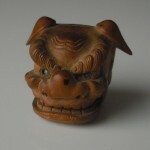 This antique japanese Netsuke of a ShiShi beast head is signed on the bottom, a very fine handcarved piece – the details are great! 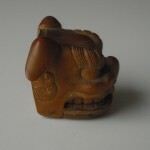 The mouth can be opened – the two holes are inside the head. 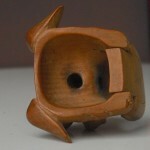 It’s in excellent condition – some wear spots.